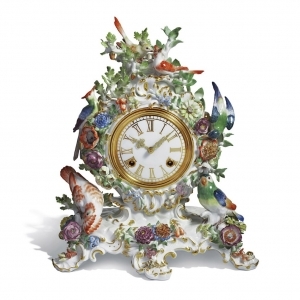 Throughout his professional career, Paul Scheurich turned to the subject of time. 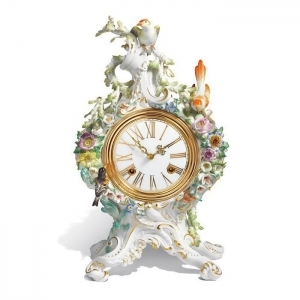 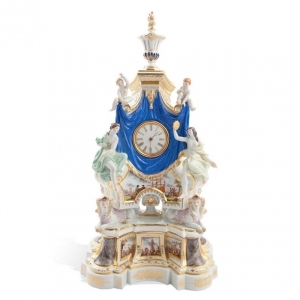 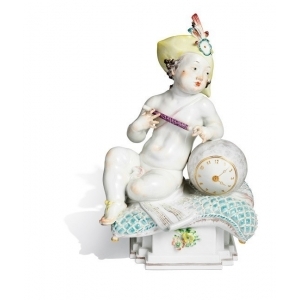 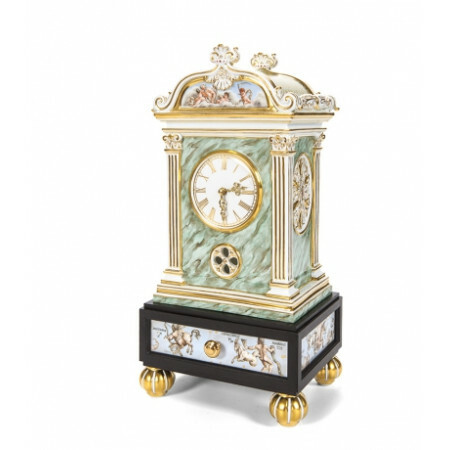 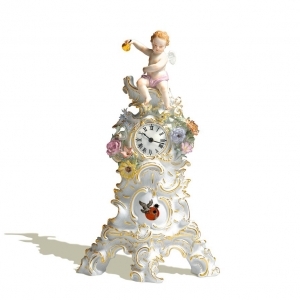 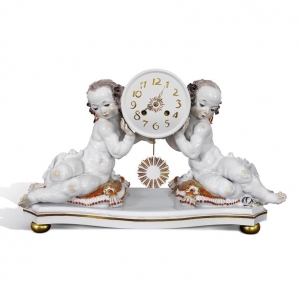 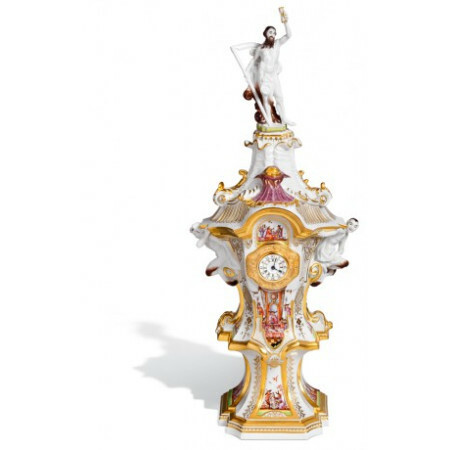 He actually creates the feeling that next to the clock dial he set figurines that seem to try to stop time, frozen in the languid and relaxing stay. 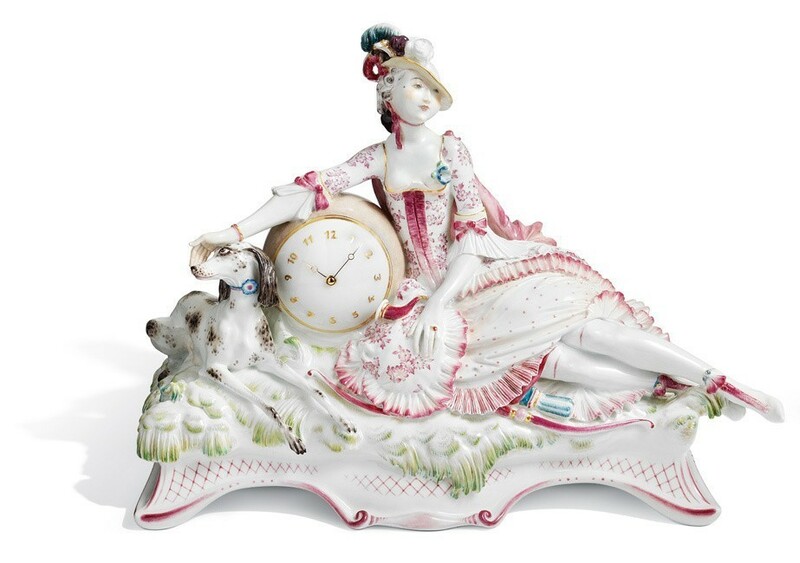 This watch "Hunter with dog" is no exception: we see a gorgeous lady who is resting her elbows on the imposingly round sphere hours after hunting and strokes her dog. 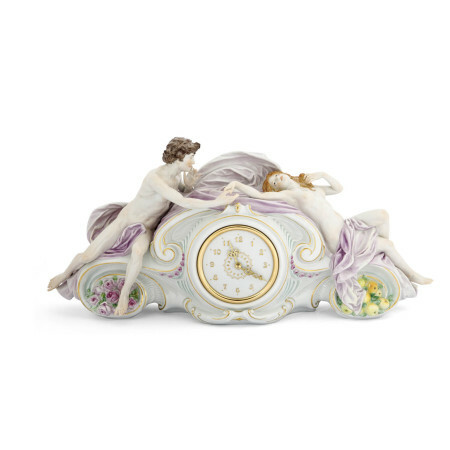 Time becomes a subservient concept; it can be stopped. 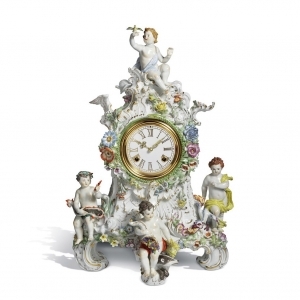 Clock with "Greek mythology and signs of the zodiac"